The BEST AUTO GLASS Repair and Replacement on the Central Coast! 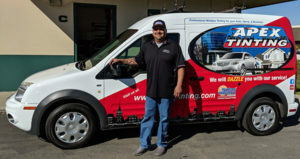 From Paso Robles to Santa Ynez… from Atascadero to Vandenberg… you will not find a more qualified, full service, Auto Glass Repair & Replacement company anywhere on our beautiful Central Coast! We have an outstanding reputation for customer satisfaction, and we offer services not available from other companies. 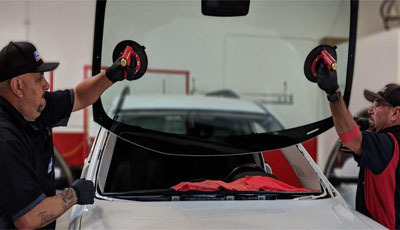 Whether it is your windshield, rear window or a side window, that has been damaged, Apex has the professional technicians and the latest technologies to get your auto glass problem resolved as quickly and cost effectively as possible. Most chips and cracks can be repaired without the need for a full replacement. At Apex we don’t want you to waste money replacing a window or windshield that really only needs to be repaired. We also don’t want you driving in unsafe conditions due to putting off dealing with your auto glass damage. We offer free assessments as well as direct to you, onsite service! Usually, smaller chips and cracks can be fixed in as little as 15 minutes each, while taking only a bit longer for bigger ones. There is no need to delay repairing your auto glass. In Most locations we will come direct to your home or place of business. We will do the assessment and repair in one quick visit! Bigger cracks represent a risk in windshield’s structure, so they cannot be fixed without compromising the overall integrity of the windshield. In such cases, we will help you choose the right replacement, including heated windshields, and windshields that are equipped with ADAS – Advanced Driver Assistance Safety cameras. Our technicians will complete the job using advanced primers and adhesives, ensuring stability and safety. We will clean and vacuum any broken glass out of your vehicle and present you with a completely clean, new windshield. We will provide you with a report advising the need for repair or replacement of any of your vehicle’s auto glass. We will go over your options and help you make the best selection if new glass is needed. From onsite service and minor chip repairs, to full auto glass and windshield installation, including heated windshields and safety system re-calibration, Apex is your one-stop Auto Glass and Windshield Repair company.